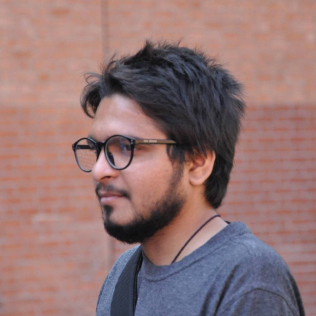 As part of the core team, Threedot Designs breathes through the filter element by the name of Vikas. The Mr. Bean of Three Dot Designs, he never loses a chance to utter his special comments thus making the working atmosphere more enjoyable and full of fun. Holding his grades in commerce and grown under the clouds of Ahmedabad, Vikas is a big workaholic bestowed on Threedot Designs. With his imaginative and novel skills in graphics, he has given design a new definition. A big lover of songs and singing, he always has his speakers on with a wide variety and class of songs. This cool head is the proprietor of great temperament control, which falls to be the basic necessity in any work domain. With his qualities of ready to learn and obedience and respect to commands and demands, this Laurel frame never falls short towards staging his willingness to follow the strides of perfection and excellence.